Kamey has lovely soft fine crirmpy fibre almost spider like at 22.9 micron, her staple length this year was 3.3 inches. She has full coverage from top to toes. When bred to grey Kamey has produced grey 4 out of 6 times. Her first two crias were both sired by High Plains Elvis, a beautiful rose grey female Sweet Pea, followed a year later by Khan. Sweet Pea took 4th place at the 2013 Alpaca Ontario Spring Show. 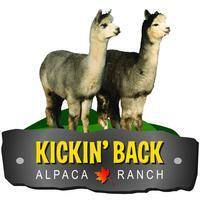 Khan placed 4th at the 2014 Alpaca Ontario Spring Show.